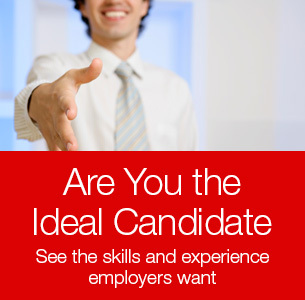 You will use your ability to read, write and speak in both English and any second language in any job category. You will be trained to track and control the money and/or assets that move into, go out of and/or remain in a company or organization. Example Job titles: Accounting Assistant, Accounts Payable Support, Accounts Receivable Support, Payroll Clerk, Debit and Credit Clerk, Cash Applications Clerk, etc. You will be trained to support and assist senior, professional and/or creative staff within a wide variety of industries and fields. Example Job titles: Office Assistant, Administrative Assistant, Sales Assistant, Department Assistant, Receptionist, Clerical Assistant or Support, etc. You will be trained to assist customers with their finances and/or other assets. Example Job titles: Teller Trainee, Financial Assistant, Mortgage / Loan Processor, Customer Service Representative, New Accounts Representative, etc. You will be trained to assist customers and/or solve problems in person, by phone or via email within a wide variety of industries and fields. Example Job titles: Customer Service Representative, Customer Service Coordinator, Customer Service Specialist, etc. You will be trained to assist in the planning, organizing and execution of events that companies and/or organizations host and/or attend and, in many cases, track and manage related expenses. Example Job titles: Travel Coordinator, Event Planner, Trade Show Assistant, Exhibits Coordinator, etc. You will be trained to the process of creating innovative designs for a company’s products, packaging, visual marketing and/or website materials. You will be trained to recruit, hire and train employees, administer benefits, salary, payroll, and handle matters of policy, procedure and employee safety plus handle inquiries, disciplinary matters, mediate conflicts, etc. Example Job titles: Human Resources Assistant, Benefits Coordinator, Recruiting Assistant, Payroll Coordinator, etc. You will be trained to perform various duties relating to a company's successful use of technology and/or technology products, such as internet connectivity, network capability, hardware needs and/or software development and/or needs, individually or as part of a team. You will complete management training and/or work directly under an experienced manager in order to develop people and/or project management skills. Example Job titles: Management Trainee, Assistant Manager, Project Manager, Project Coordinator, etc. You will be trained to utilize various methods and/or platforms to promote a product, brand and/or service. Example Job titles: Social Media Specialist, Marketing Assistant, Advertising Assistant, Branding Specialist, etc. You will be trained to the process of buying certain products and/or raw materials to be used by a company in their manufacturing and/or distribution processes. Example Job titles: Buying Assistant, Purchasing Assistant, Junior Buyer, Procurement Assistant, etc. You will be trained to sell, lease and/or manage industrial, commercial and/or residential properties to a variety of clients. Example Job titles: Commercial Leasing Assistant, Real Estate Sales Assistant, Property Manager, etc. You will be trained to identify, qualify and develop sales opportunities with new customers and/or build and develop relationships with existing customers via phone and/or email in order to promote a product or service. Example Job Titles: Inside Sales Representative, Sales Coordinator, Lead Developer, Business Development Specialist, Inside Sales Trainee, Junior Account Executive, etc. You will be trained to travel locally, regionally, nationally and/or internationally to identify and qualify sales opportunities with new customers and/or build and develop relationships with existing customers in order to promote a product or service. Example Job Titles: Outside Sales Representative, Outside Sales Trainee, Junior Account Executive, etc. You will be trained to assist administratively (not from the actual production and/or warehouse floor) in the successful production, packaging, shipping and/or delivery of a product. Example Job titles: Import / Export Coordinator, Logistics Coordinator, Production Scheduler, Distribution Coordinator, Warehouse and Shipping Coordinator, etc. You will be trained to review, inspect and/or test certain products or systems to make sure they follow standard procedures and protocols for safety, reliability, etc. Example Job titles: Document Control Specialist, Quality Control Inspector, Quality Assurance Assistant, Receiving Inspector, etc. You will be trained to create marketing and/or informational content for a company’s website. Example Job titles: Web Content Developer, Web Content Manager, E-Commerce Specialist, Website Maintenance, etc. You will be trained to write, edit and proofread any written content for a company, including instructional manuals and/or marketing material. Example Job titles: Technical Writer, Editorial Assistant, Industry Journalist, Publishing Assistant, Documentation Specialist, etc. If none of the categories above seem to fit your interests and/or skills, you will have the opportunity to tell our staff what other type of job interests you have when you fill out our Recent Grad Application.